Frank Warren, the boxing promoter variously self-described as an “old git” and a “dinosaur”, never thought this day would come. On April 8 in Manchester he promotes the professional debut of a double Olympic gold medalist – who happens to be female – dancing in the footsteps of her hero, Muhammad Ali. The game-changing story of Nicola Adams continues. A global sport renowned for its undiluted testosterone is having a cultural – and hormonal – makeover. Warren has never seen, live, a women’s fight before. He’s nervous, he says. His office is a shrine to male performers: Frank Sinatra live at the London Arena, a cavalcade of portraits of the famous boxers he’s promoted, memorabilia dedicated to his beloved Arsenal, a model of a boxing ring. Very leather and wood, the lair of a male comfortably inserted for decades in a very male business. So what’s he doing promoting Adams, sportswoman, history-maker, heroine to the LGBT community after calmly coming out as bisexual years ago? It’s probably not entirely his comfort zone as evinced by a list of his former utterances that have in various ways come back to taunt him. He disputes he ever said that he feared for a woman’s reproductive system. He was vehement on the subject when it was raised at the recent BT Sport press conference where surprise news of the Adams–Warren alliance was announced. “I know. I got misquoted. I’d been talking about a female boxer in America whose medical before a fight revealed that she was five months pregnant. That can’t be right. She’s been sparring. It may be her choice to box but it’s not the baby’s. I didn’t agree with it. I don’t agree with it. But that quote got bastardised a couple of weeks ago into something completely different. If it makes him sound defensive, that’s unfair. His tone is rather one of wry bemusement that modern life, and an instinct for a good deal, has brought him to this point. “I’ve been converted,” he said gamely. “I got talked into it. My daughter badgered me and said I was a dinosaur. She said women soldiers fight in the front line in war zones. They fly fighter jets. So there’s nothing to stop them being professional boxers. “I’ve had to bite the bullet. I phoned Nicola and said, ‘Come on, let’s sit down together’. It’s an unlikely partnership but I think we got on quite well. She’s so bubbly. She’s got so much personality. To be honest, I found myself thinking, ‘God, I wish some of my other guys had as much personality’. “I grew up in an age when we treated women differently.” He was born in 1952 when women, never mind men on their behalf, wouldn’t have contemplated being an astronaut, prime minister or flyweight champion of the world. (Margaret Thatcher was the exception, but even she didn’t step in the boxing ring.) “I never liked watching women’s boxing, but I admired their courage and work ethic. I never denigrated them. I respected them but I just didn’t like watching it. “My attitude wasn’t chauvinistic. It was just from another time. But having met Nicola, spoken to her, I’ve seen this is her life. It’s what she wants to do. When you talk to her, it’s her dream, her goal. I accept that. “On the night I’ll be watching it live from the ringside, something I’ve never, ever done before and I’ll see it in all its … splendour. Until April, Adams is in Oakland, California, with her chosen trainer Virgil Hunter, who has previously worked with Amir Khan. Warren’s role back in Britain is to find the perfect match for her debut. That very day he’d received an email from “the people” of the WBO World Super Flyweight Female Champion from Argentina looking for a match-up. He can’t quite remember the name. “Who’s that lady …” he said prowling out of his office to ask someone. They tell him: Daniela Romina Bermúdez. “You’ll have to stop calling women ‘ladies’ soon, Frank,” I mention as an aside. Terminology is the least of his worries for now. First, he has to be canny about the launch of Adams’s pro career. “You can’t just throw her in the deep end. Professional boxing is completely different to the amateur game. She’ll need a few fights to feel her way. The question marks are: what’s she going to be like going 10-12 rounds when in the Olympics it’s four rounds of two minutes? What’s her stamina like? “She’ll need a few fights to feel her way and then we make the decisions. It’s just completely different. No headboards, the training, the scoring, the style. It’s almost all head shots in the amateur game. In the pro game, it’s more shots to the body. It is unlikely her first opponent will be a fellow Brit. There are less than 10 licensed women pro boxers in the country. But whoever it is, Warren is expecting the Manchester fight to pull in a good crowd and he is assured her second fight, already scheduled for her home city Leeds, will pack them in. At neither event will she be the headline act. Maybe top billing is beyond the reach of a female fighter still? No, it isn’t. “I think when she fights for the world title, she’ll be top of the bill. When we did the launch at the top of BT Tower, there was quite a crowd of top fighters there. Billy Joe Saunders, Terry Flanagan, Liam Smith, and all the press wanted to talk about was Nicola. “There’s the novelty, but I believe we’re past that now. As a fighter, she’s the finished article. She’s won everything: double Olympic champion, World, Commonwealth, European title holder. She’s going to be a draw. There’s a woman in the States, Claressa Shields who turned pro last year. She was the standout fighter – men are women – at the Olympics. Her fights are on Showtime now. “I never thought I’d see this is my life time. Two women British prime ministers, Angela Merkel, female soldiers on the front line. That’s how it is now. It’s not about men and women as separate categories – it’s about people. “I didn’t dream of this happening 10 years ago. But then I never dreamed that Kellie Maloney would be the first trans-gender former boxing promoter. Nothing shocks me anymore. Boxing is a very understanding sport. We brought over the first gay boxer to actually come out during his career last year. A Puerto Rican guy. I can’t imagine football doing that. The crowd were great, cheering the guy on. So I don’t care about Nicola’s sexuality at all. It’s none of my business. She’s a great fighter and great personality. “She’s 34 now, two years younger than David Haye, but she hasn’t got a lot of years left in the sport. She definitely won’t do a George Foreman and stay on until she’s nearly 50. I think she’s got it in her head that she doesn’t want to be around too long. That piece of history is definitely on. 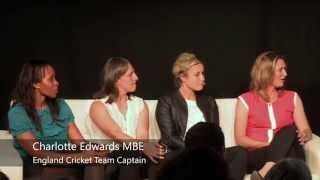 And now sportswomen know how to make it happen. What made Frank Warren change is mind? “Self-interest and a lot of pressure.” Useful knowledge that.